We may not normally think of the establishment of an academic department as an event with political significance, but sometimes social change can lead directly to recognition of necessary parallel changes in scholarship and academic culture. 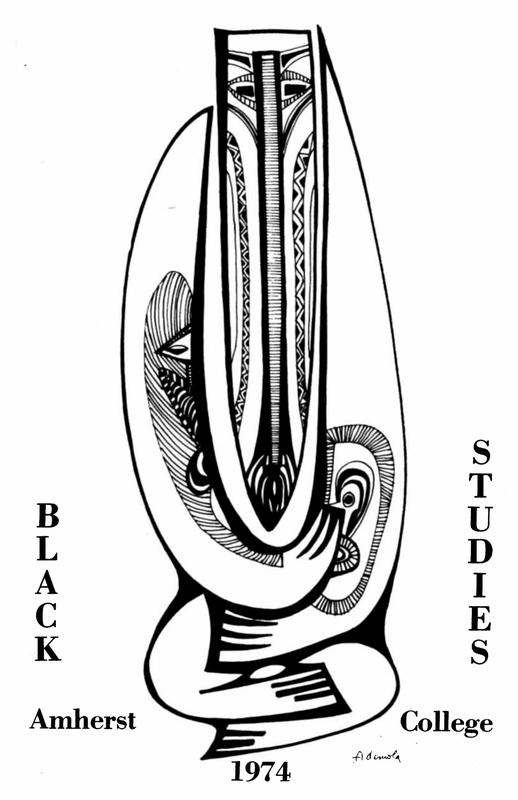 The establishment of the Black Studies Department at Amherst College is one example of this. Amherst College Archives and Special Collections contains records, clippings and publications across several collections which together document the story of how the department came to be. Nearly every student who has attended Amherst College is represented in the Alumni Biographical Files collection, which documents the lives of alumni from 1821 to the present. Biographical files may contain as little as basic information about a student’s enrollment dates at the college, or may contain many folders of items related to alumni lives and careers, depending on how much material has been gathered or donated for each student. 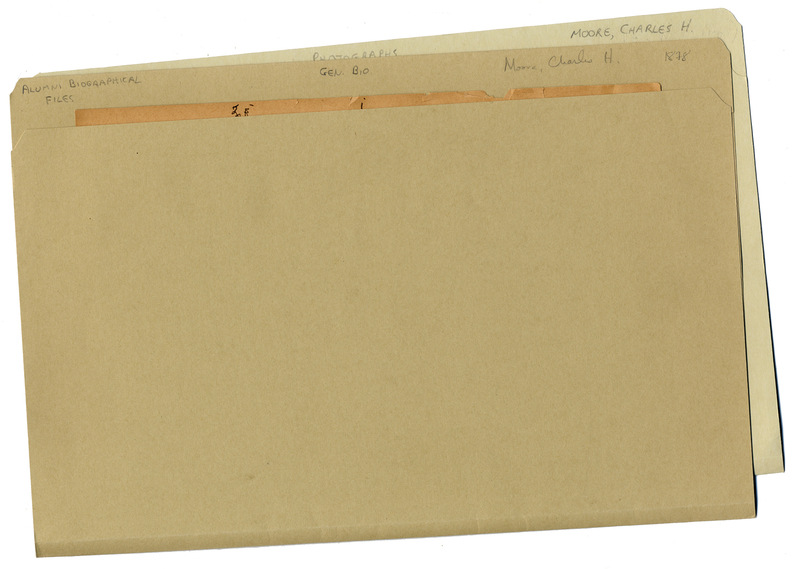 Calvin Coolidge’s “bio file” is equal in size to a small manuscript collection, while others contain just enough for one folder. Questions and requests from researchers frequently send us to these biographical files, giving us the opportunity to learn about some fascinating Amherst alumni. Looking into these files allows us to rediscover their contributions and learn something about the social and cultural contexts for their work. One of the alumni who came to our attention this way was educator Charles Henry Moore.